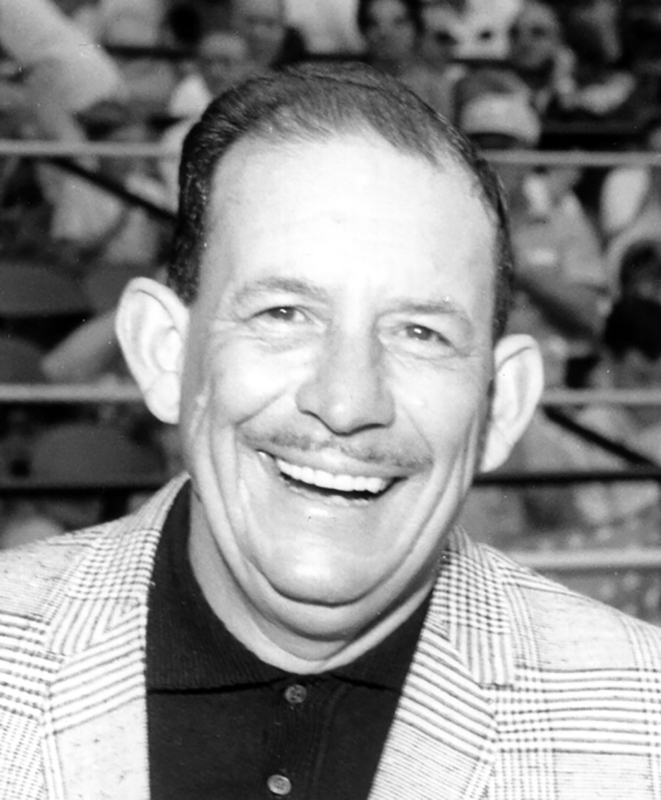 AL DEAN was by far the most successful American Automobile Association/United States Auto Club championship car owner of the 1950s and 1960s. A self-made transit company magnate, Dean also was renowned for having given Indianapolis 500 rookie tests to both Mario Andretti (1965) and A.J. Foyt (1958). His first win came in the inaugural Hoosier Hundred of 1953, with Bob Sweikert. 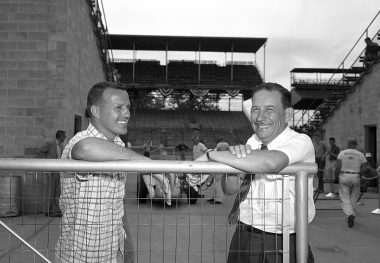 His Clint Brawner-wrenched Dean Van Lines Specials won an amazing 38 National Championship races from 1953 through 1967 in the hands of Jimmy Bryan and Mario Andretti (17 each), Eddie Sachs (three), and Bob Sweikert (one). Bryan won the national title in 1954, 1956, and 1957, and was runner-up in 1955. He also won the non-points Monza (Italy) 500 in 1957. Andretti won the National Championship title in 1965 and 1966 and was runner-up in 1967. Dean was never able to win the Indianapolis 500 with his race team, but he did have five top-three finishes, including seconds with Bryan in 1954 and Sachs in 1961. 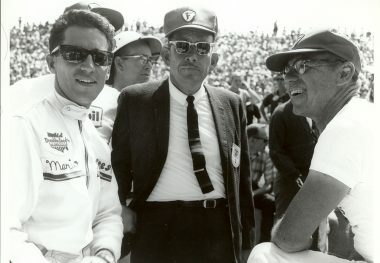 Dean also had four Indianapolis 500 poles with Sachs (1960 and 1961) and Andretti (1966 and 1967).